Due to the interest of my post The Other 21st Skills, I decided to individually discuss each of the skills or dispositions I proposed that are in addition to the seven survival skills as identified by Tony Wagner. This post focuses on resiliency. The first post focused on Grit: The Other 21st Century Skills. Some would categorize Grit and Resiliency as the same skill, but it is my belief they are involve two different, but interconnected, skill sets. While grit focuses on persistence, resilience is about bouncing back in the face of challenges and/or failure. Resiliency is not one specific thing, but a combination of skills and positive attributes that people gain from their life experiences and relationships. These attributes help them solve problems, cope with challenges and bounce back from disappointments. A common finding in resilience research is the power of a teacher–often unbeknown to him or her–to tip the scale from risk to resilience. Werner and Smith (1989) found that, “Among the most frequently encountered positive role models in the lives of the children . . . outside of the family circle, was a favorite teacher.” The approaches, or “strategies,” used by these turnaround teachers provide a set of best practices or benchmarks to guide our work in classrooms and schools. Repeatedly, these mentors are described as providing, in their own personal styles and ways, the protective factors. Research by Werner, Bernard and others indicate that one fo the major contributing factors towards resiliency is a positive relationship with an adult. Optimally it should be a parent. But if the parent is not available for any reason, it can be a teacher or coach. Finding one on one time with learners – during group work time, walking to lunch or specials, during recess, etc. Listen deeply and attentively to what the learners have to say. Enjoy being with the students. If you don’t care deeply about them, then I believe there is problem. I have said and will continue to say to my pre-service teachers, if you don’t love them find another profession. Teach and help learners cope with stress. If you, as an educator, take one idea from this post, let it be that working to maintain a positive and significant relationship with learners is the most important way to contribute to their resiliency. The key point from resilience research is that successful development and transformative power exists not in programs per se but at the deeper level of relationships, beliefs and expectations, and willingness to share power. Relax, have fun, and trust the process! 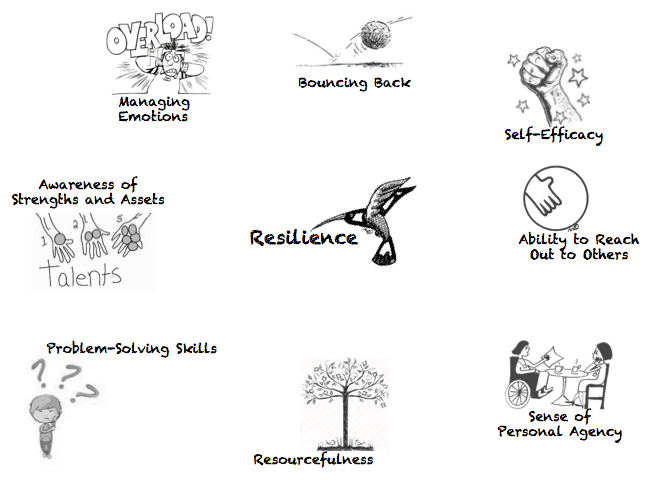 Working from your own innate resilience and well-being engages the innate resilience and well-being of our students. Thus, teaching becomes much more effortless and enjoyable. Moreover, resiliency research as well as research on nurturing teachers and successful schools gives us all the proof needed to lighten up, let go of our tight control, be patient, and trust the process. I absolutely love the idea of this series! Thank you for keeping my passion ignited! Can’t wait for the rest! I can’t believe I have found what I have been searching for… someone with passion for education… not just in teams of teaching but loving the students first and there by accepting a student with all of his/her’s strength, shortcomings,… but still continue to love and educate them. I found it very powerful to think about resilience being learned and taught. Not something you have or don’t. 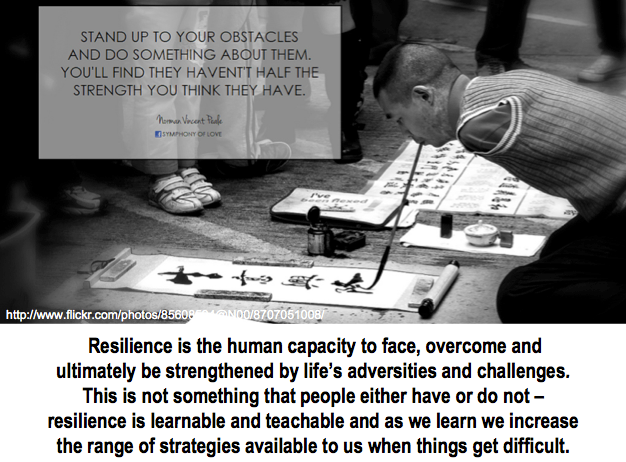 I am delighted to read a blog with insights into resilience. It is my interest area for research but above all its something I can relate with when it comes to students growth and development. I find it fascinating that how failure can lead to success… with a resilience, that I believe is built upon patience. A very refreshing read indeed.